A near fatal car crash months after his graduation from university led Ishaya to make a decision away from a career in IT to one behind the camera. His resolve was strengthened when he was accepted into the MA Filmmaking program of the London Film School from which he graduated in 2010 with a distinction and emphasis in writing and directing for film. His 2010 graduation film, “Braids on a Bald Head” was selected in International Festivals in Cambridge, Clermont-Ferrand, Boston and Seattle and won the Best Short Film at the African Movie Academy Awards in 2012. 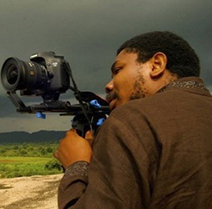 His documentary “Fuelling Poverty” was awarded the Best Documentary at the 2013 African Movie Academy Awards and screened in festivals in Lagos, New York and London. He lives and works in Abuja. 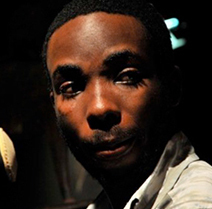 Oliver has been a trailblazer in the Nigerian Film and Television Industry for over a decade. As a young director, he started on the set of Nigerian TV series, “I Need to know” where he directed 25 episodes and then, from 2002 to 2004 he was director on the acclaimed series “Everyday People” and “Blaze of Glory”. He then produced and directed two seasons of the AIT hit show “Husbands and Wives” from 2007 to 2009. Oliver has made commercials for multinationals including telecom giants, MTN and Globacom; First City Monument Bank and he also directed the FIFA U‐17 World Cup draws For Nigeria 2009. His first collaboration with Ishaya Bako produced the award winning short film, “Braids on a Bald Head” and”Fuelling Poverty” is their second project together. Simi specializes in helping organizations embark on comprehensive programs to improve performance, communications and strengthen their management capability. She has a background in consulting to the public sector and has worked with several government agencies in developing their communication strategy. 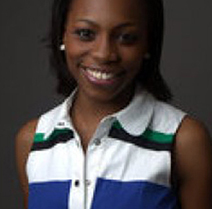 She firmly believes in harnessing Africa’s vast potential and resources in improving the lives of its citizenry by developing models that will help government’s operate more efficiently and effectively. Her detail and practical approach allow her to crack challenging situations quickly and unlock potential. Simi works with top teams and boards on issues of governance, alignment, communication strategy, leadership development, HR Strategy, recruitment and talent management.